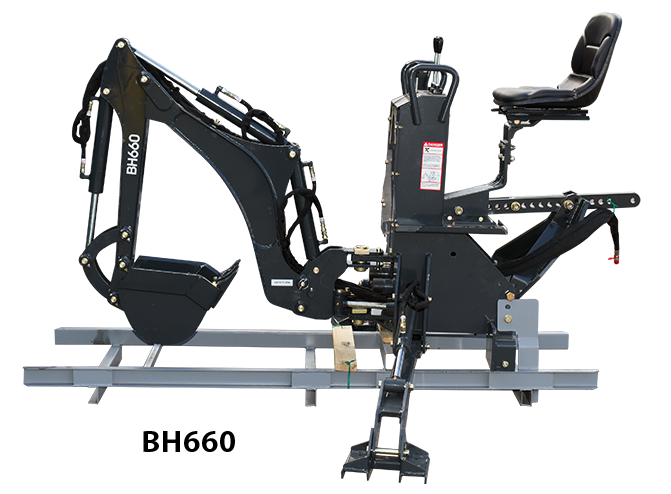 Check below for this backhoe's specific features and specs, and give us a call if you have any questions! Click here to go back to the Ansung page. A. Digging Depth 6' 6" 7' 6" 8' 9"
B. Reach from center line of Swing Pivot 8' 6" 9' 4" 11' 3"
C. Loading Height (Bucket @ 60°) 5' 11" 6' 7" 8' 2"
F. Transport Height (Maximum) 5' 6" 6' 3" 7' 6"
G. Transport Overhang 3' 8" 4' 1" 4' 10"
J. Stabilizer Spread (Down Position) 7 '2" 7 '2" 7 '2"
L. Stabilizer Spread (Up Position) 4' 8" 4' 8" 4' 8"
N. Undercut 1' 8" 3' 0" 3' 1"
Bucket cylinder digging force 2,920 lbs. 3,080 lbs. 3,670 lbs. Dipper stick cylinder digging force 1,850 lbs. 2,160 lbs. 2,310 lbs. Shipping weight (Including Bucket) 1,100 lbs. 1,300 lbs. 1,600 lbs.